They’ve been vigorously and meticulously trained, and have served our country with everything that was in them. But after they finish their term of service and get back to civilian life, many veterans, despite their extensive qualifications, find it hard to get employed. Even with their intense training and discipline, and the opportunities or programs offered to them, many veterans are struggling with the civilian job search. Their struggle continues even after they get employed. Sometimes, they have trouble keeping their jobs because of PTSD, other times they find it hard to adjust to the civilian working atmosphere. Veterans are highly trained, but that training may be difficult for employers to apply to day-to-day civilian life. While veterans are trained for the war zone, and trained well, they may not have the specific human resources, service-based, and commercial skills required in many jobs. This is where reintegration, training, and career counseling would come in. Many veterans entered the military right out of high school, so in essence, it is their first adult job. They have literally never known another work environment, and can be surprised at how different the corporate world is. In the military, you’re given an assignment or deployment once you finish training. There’s no such thing in the corporate world. You have to find your own path based on your skills and background. So yes, many veterans have never gone through a corporate interview process or written a resume for a private sector job, and may be surprised at how competitive it is. The civilian work culture is very different from the military work culture, where everything is closed from the outside world. While the military takes good care of its own, with its own medical services, human resources, and education department, many civilian workplaces are not the same because they are a part of the larger society. The way workers treat their superiors and subordinates in the military is also very different than in civilian workplaces. 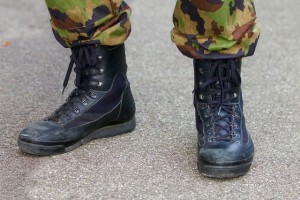 Post-traumatic stress disorder and other mental health issues that come with being in such a high-stress workplace can prevent a worker from successfully holding another position once they have left the military. In this case, therapy and career counseling, whether from military services or from the private sector, might be able to help. Veterans should look into the availability of mental health coverage through their insurance. Although the training is thorough and high quality, the skills that military personnel learn may not be applicable to jobs in the private sector. In this case, retraining may be necessary. Check with the military’s services department – they may pay for or partially subsidize any former members of the military to receive retraining after active duty. Re-framing your military skills and experience in a way that corporate recruiters and hiring managers can appreciate also works. Riklan Resources works with veterans and soon-to-be retired officers to help translate their military skills in a private-sector friendly resume. We also donate a part of our proceeds to the Wounded Warrior Project.